If you live in London you’ve probable had a bit of a lacklustre performance when it comes to water pressure. The bath takes an age and a half to fill. The shower just isn’t satisfying and you seem to be spending too long getting the shampoo out of your hair. When you turn on the shower you either get burnt or frozen. More often than not, poor pressure is especially noticed when you have a combi at home. A combination boiler produces both heating and hot water. While the heating works on pressure, the hot water works on flow rate. You can have good water pressure but low flow rate. This could be because of old lead pipework from the street or just bad flow rate in your area. Often you can install a new water mains. They are not necessarily expensive and can cost between £600 and £1000 although obviously these costs may not be correct for your house as it will depend on what extra works you will need done. A lower cost alternative is to install a Mains pump. 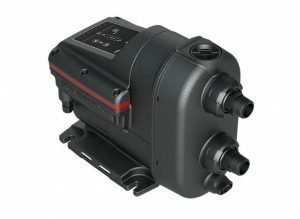 New types of mains pumps have come onto the market in the past year or 2. In the past without these units you would have needed a special permit and equipment to pump mains water into your house. Today with the likes of the Salamander HomeBoost and the Grundfos Scala2 you can spend just £200 to £400 and that will get you a good boost to you water supply. 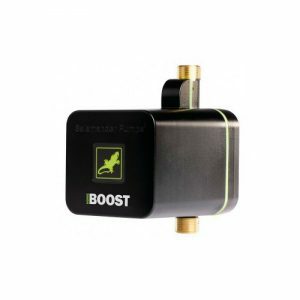 By UK law the booster pumps can only provide 12l of water/min and boost the water pressure to 1.5 bar. The pumps are quite compact and although slightly bulky if fitted on pipework which is not boxed in they can easily be hidden in a kitchen cupboard which is often under the boiler. This will boost the flow of water on the hot side but leave the cold mains water unpumped. By installing the pump closer to where the mains water enters your property you can then pump both hot and cold water. If you would like more information on having better flow from your shower then give us a call on 020 89707489. So what is a condensing boiler anyway?